At Skin Bar NYC, we follow a check list for every laser hair removal treatment we perform. It’s our way of ensuring the safest most effective treatment and results. The first item on our check list is always the most important. Step one is selecting the right laser to do treatment. And the way we select the laser for today’s treatment is based on your skin type. Lighter skin tones are treated with the Alex laser and darker skin types are treated using a YAG laser. 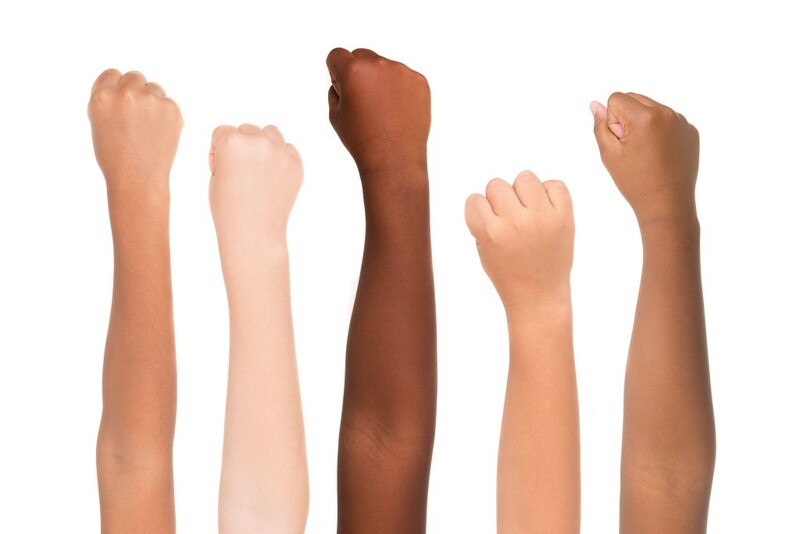 Since laser hair removal was FDA approved in 1997 laser techs and specialists have relied on the Fitzpatrick skin typing scale to determine a person’s skin color. Based on your Fitzpatrick skin type number, the corresponding laser is selected for your treatment. The Fitzpatrick scale is numerically based from I-VI, with I being the lightest color skin type and VI the darkest. Fitzpatrick Skin Type I – White, very fair, skin that always burns in the sun and never tans. Not a common skin type for laser hair removal since most people in this category have blond or red hair. Typically Irish or Eastern European background. The Alex laser is the best option for skin type I clients. Their lack of pigmentation means their skin doesn’t hold heat allowing for higher laser settings and better results. Fitzpatrick Skin Type II – White, fair skin that usually burns in sun, but can tan with difficulty. This is a much more common skin type for laser hair removal. Perfect for treatment with the Alex laser. Fitzpatrick Skin Type III – Beige skin that tans to brown and sometimes burns. Many mixed race Americans, like me, fall into this category as long as they have NOT had sun exposure. The Alex laser is great for skin type III clients. But beware, sun exposure will move a skin type III client to a IV and skin type IV clients have to be treated on a YAG. Fitzpatrick Skin Type IV – Medium brown skin tone is the norm. Tans easily to a dark brown and rarely burns. Determining a skin type IV is a little more complicated than 1-2-3. Skin tone is definitely an important factor but family origin and race play just as important a role. It has to do with the amount of melanin in the skin. Consider two clients standing side by side. They both have the same skin tone, but one is of Mediterranean background and the other is from Baku, Russia. The client from the Mediterranean has to be treated on a YAG laser due to a higher amount of melanin in the skin. Conversely, the Russian client can be treated on the Alex because there is less melanin and less chance for a laser burn. Tip: Many of our clients toggle between skin type III and IV during the course of their laser hair removal journey with Skin Bar NYC. I’m a perfect example. My mother is Mexican and my father is English. My skin is pretty light beige most of the year, but with any sun exposure I tan easily. If you’re like me and many New Yorker’s are, you are likely to be a III or a IV depending on sun exposure. Fitzpatrick Skin Type V – Dark Brown, rarely burns and tans easily. Skin type V clients are always treated on a YAG laser. The YAG makes laser safe for darker skin types. And very effective! Fitzpatrick Skin Type VI – Black skin, never burns. Similar to skin type V, skin type VI is pretty rare, but even the darkest skin tone can be treated safely with the YAG laser. Skin type VI clients can expect a couple of more laser treatments to be hair free than lighter skin clients. The settings for skin type VI are slightly lowered for safety. For the safest laser hair removal treatments always answer these 3 questions about yourself and your skin with your laser specialist. 1) Have you been in the sun in the last 6 weeks? 2) What is your ethnic background? 3) Do you tan easily or burn easily? For a free skin typing and laser hair removal consultation call us at 212-889-1171. One of our laser specialists will be happy to skin type you and laser a small test patch to find the safest laser for your skin.